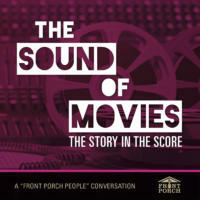 The Front Porch People | "Jaws"
Our debut podcast makes a big splash with the story and the score of “Jaws” (1975). Composed by John Williams, this thrilling Academy Award Winning film score has arguably become the best known soundtrack of all time. Tune in to hear this iconic soundtrack as host, Joan Andrews, takes you through each action packed scene on Amity Island’s hunt for the great white shark.